The men closed out the day with their free programs, bringing an end to their fight for gold. America’s Nathan Chen had a slightly rough program, taking a fall on his second jump (a quad Lutz) while also stepping out on his next jump, a quad toe as part of a triple toe combination. He moved the triple toe to his later quad toe, and finished strong, claiming his second consecutive gold in the Grand Prix series. Japan’s Shoma Uno took silver, a disappointment for the skater who came looking for gold. 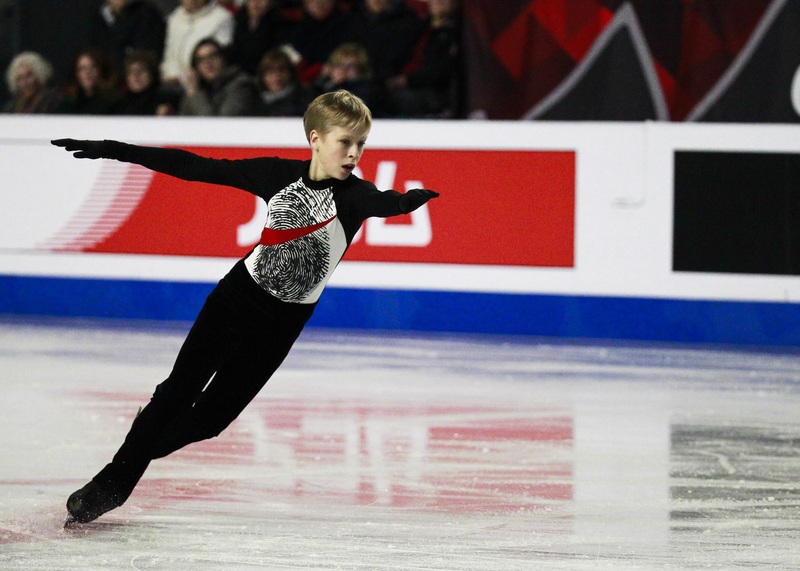 Starting with a quad Salchow that was double-footed and downgraded, he followed with an under-rotated quad flip. Entering the second half, Uno had shaky landings for both his triple Axel, triple flip combo and his triple Salchow, triple toe combo, which cost him valuable points. He placed behind Chen by over seven points. In the post-event press conference, both skaters expressed their desire to work on their programs and have a cleaner skate. Uno was particularly disappointed with his short program the day before. 17-year old Korean skater Junhwan Cha was excited about his own performance on the night as he took home bronze. 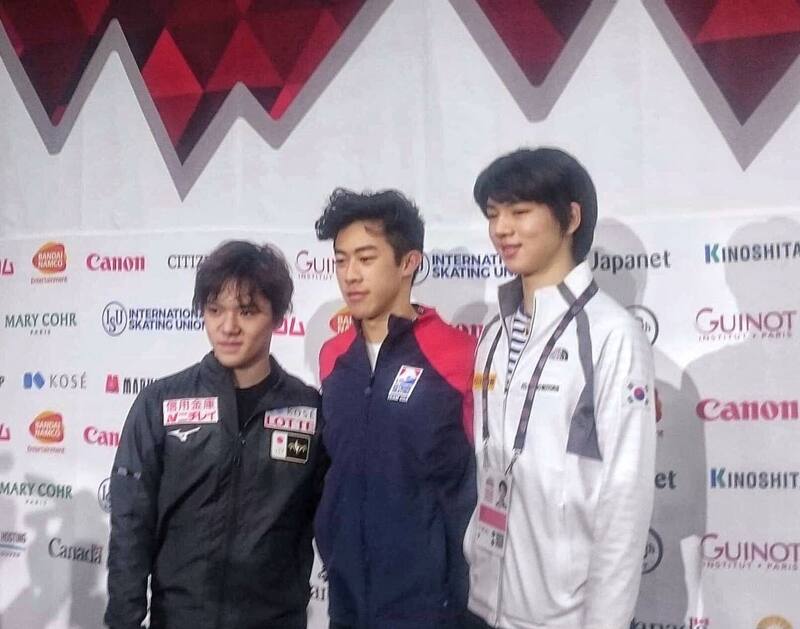 Not only did he medal in his first ever Grand Prix Final, he's also the first Korean man to even qualify for the Finals. Entering the free skate in fourth place, Cha fell on his opening quad toe. The rest of his skate was well done, though — particularly his triple Lutz triple loop combination. Fourth place skater Michal Brezina also took a tumble on his quad Salchow, but the jump was supposed to be in a combination and he didn’t move the connecting triple toe later in his program, leaving him with only two combos. The rest of his program was a bit uneven, but earned him positive Grade of Executions. Canada’s Keegan Messing found himself in fifth after ending the short program in sixth the day before. He wasn’t able to stay on his feet for the whole program as he fell on his triple Axel, but managed to land his quad Lutz — a jump that has been giving him some trouble this season. About skating in from of the home crowd for Canadian Nationals in the new year, Messing said that he loves skating in front of the high-energy home crowd, which is “always a fun one.” He noted that he’s the one who other Canadian skaters have to chase now since Patrick Chan has retired. Finally, in sixth, Russian Sergei Voronov — who was notably the only skater without a fall or downgraded jump — also had trouble skating clean. His combos were a bit messy and he had to move a combo after a rough landing of a triple Axel. The Ice Dance competition opened yesterday evening, with crowd favourites Madison Hubbell and Zachary Donohue of the USA sitting in first into the free dance later today. Russian pair Alexandra Stepanova and Ivan Bukin, who were slated to be favourites, found themselves in fourth. Notably absent from the proceedings are pairs team Gabriella Papadakis and Guillaume Cizeron, who withdrew from their second qualification event due to an injury. The Pairs also opened their competition on Friday night, with China’s sole skaters in the Finals competing: Cheng Peng and Yang Jin. Their program was excellent, earning them their highest score of the season 75.69, which puts them in first for the free. Russian pairs Natalia Zabiiako and Alexander Enberttake, and Evgenia Tarasova and Vladimir Morozov, finished in second and third. Popular French skaters Vanessa James and Morgan Ciprès also performed, but lacked some stability, putting them in fourth. The junior men’s finished up Friday. In what will be considered an amazing comeback story, Canadian Stephen Gogolev took gold. At age 13, he was originally only an alternative for the Final, but was called up after another finalist was injured. 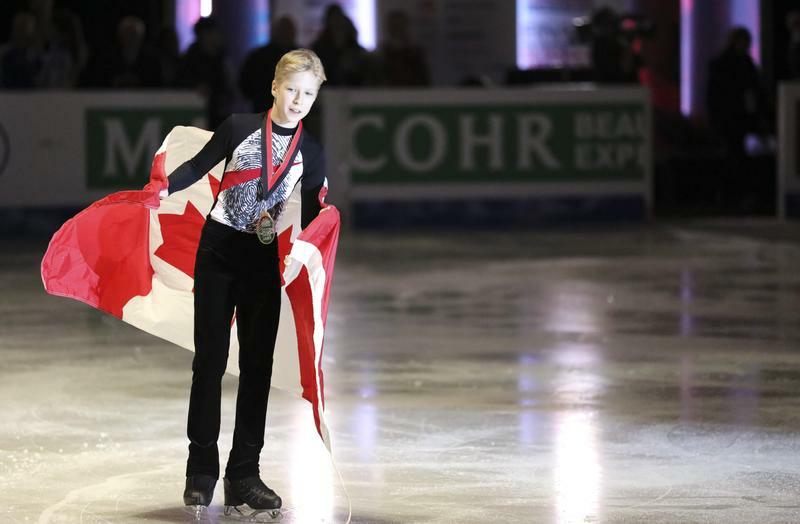 He is the first Canadian junior man to win the Junior Grand Prix and the youngest men’s skater ever to do so. A fall in his opening quad Lutz was an unfortunate start, but he turned it around, landing his other two quads in combination with a double toe. 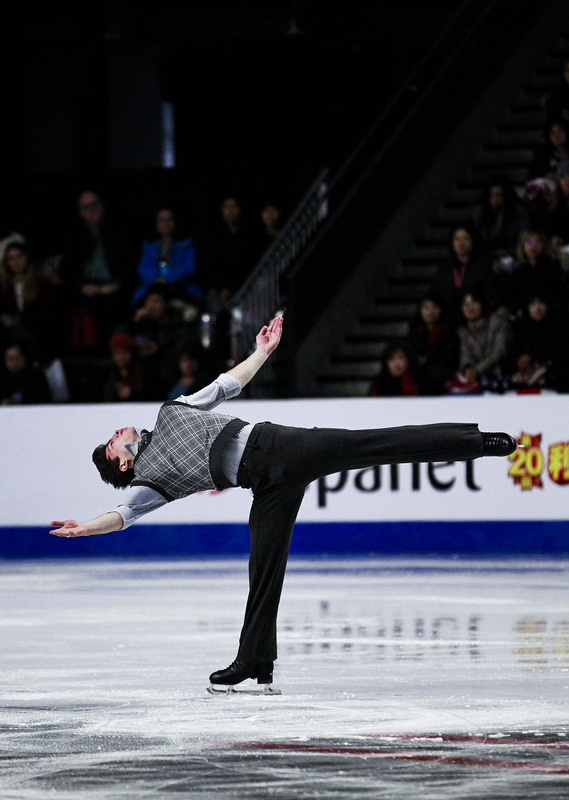 “I didn't really believe it, that I won the Grand Prix Final,” he said post-skate. Russian Petr Gumennik finished in second and France’s Adam Siao Him Fa in third. Junior ice dance also completed their competition Friday night, where the final standings were incredibly close. Only a hundredth of a point separated gold and silver and only 0.03 points made the difference for third and fourth. Ultimately, the Russians swept the podium, with Canadians Marjorie Lajoie and Zachary Lagha placing fourth. Today, we have the Senior and Junior Ladies free skates, Senior and Junior Pairs free skate, and the Senior Ice Dance free Dance to close out the Grand Prix competitions. Ubyssey Sports is live-tweeting the Grand Prix Final throughout the weekend. For up-to-date results and analysis, follow @ubysseysports.